Microsoft intends to release a "modern" Windows OS, stripped of the Win32 legacy code and running only UWP apps. This might not be appealing to gamers or professionals that still need Win32 compatibility for the most popular games and apps. According to a Windows Central report, Microsoft is currently dedicating serious time for the development of a "modern" Windows version code-name Polaris, which will do away with the legacy source code that has been around since the inception and feature a more streamlined approach running only Universal Windows Platform software. Polaris will not be an upgrade for Windows 10 and it will be running on desktops, notebooks and 2-in-1 devices, bringing improved performance, longer battery life and more security features. By abolishing the legacy code, Microsoft will essential make all Win32 apps runnable only through virtualization. 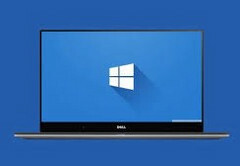 Microsoft ensures that support for Windows 10 will not be ditched upon the Polaris release, and the two OSs will coexist, but the company wants to promote Polaris as a specialized platform geared toward power users. Rather than building it on previous Windows versions, Microsoft is developing Polaris on completely new code that is currently known as Windows Core OS. The new code will be running a cshell user interface and it will implement features from the Andromeda OS for mobile devices that will be released this year. Windows Central does note that this could bring fragmentation and confusion among Windows fans. Polaris is meant for minimalist users, while professionals and gamers will stick to OSs that still care about legacy software. Machines coming by default with the new Polaris will be limited to the UWP apps, however, while virtualization will be enough for lightweight legacy software, gamers and professional designers will certainly not enjoy the hardware limitations imposed by virtual platforms. Polaris is expected to be released in 2019 at the soonest.